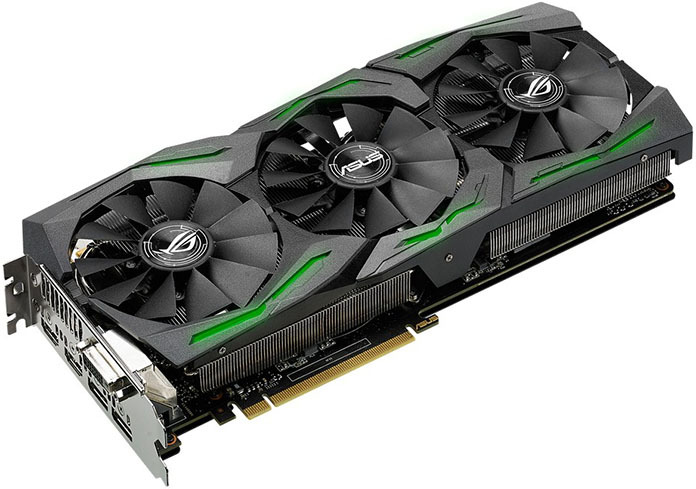 After debuting in the high-end GeForce GTX 1080, NVIDIA’s new Pascal graphics architecture has quickly trickled down to more affordable price points. A scaled-back version of the GP104 GPU powers the GeForce GTX 1070, and now a new GP106 chip has arrived in the GTX 1060. At every step along the way, the engineers in our Republic of Gamers division have devised a custom Strix version with faster performance, smarter cooling, and customizable RGB lighting. 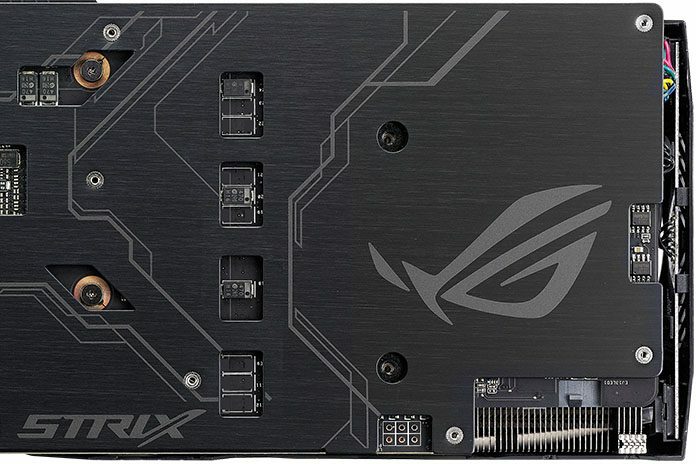 Not content with the GPU’s stock frequencies, the Strix cranks the Boost clock up to 1847MHz. OC mode adds a little more oomph, pushing the Boost speed to 1873MHz, a 10% increase over stock. Activating OC mode couldn’t be easier—just click the button in our intuitive GPU Tweak II software. You’re also free to tune frequencies and voltages manually in pursuit of even faster performance. The GPU is backed by 6GB of GDDR5 memory clocked at 8208MHz, a modest bump over stock. Factor in the 192-bit interface, and the Strix boasts nearly 200GB/s of memory bandwidth. To put that into perspective, consider that the old GTX 960 pumps out only 112GB/s. Welcome to the next generation. While the chips get most of the attention, every aspect of the card is optimized. Our Super Alloy Power II components run 50% cooler than previous designs—and with less buzzing under load. They’re laid out with mechanical precision by Auto-Extreme Technology, our fully automated manufacturing process. This industry-leading production process ensures more consistent quality overall. With lower energy requirements and no harsh chemicals, it’s also kinder to the environment. Cooling has a big impact on not only performance and overclocking, but also what it’s like to live with the card day in and day out. That’s why our DirectCU III cooler has 0dB fans that spin down completely at idle and under lighter loads. You can surf the web and play casual games in perfect silence, with the formidable cooling power of three Wing-Blade fans available when needed. With the fans spinning in 3DMark11, the Strix GTX 1060 runs 16% cooler than NVIDIA’s Founders Edition reference design. More impressively, it’s also 6dB quieter. You can have your cake and eat it too. In fact, you can have your cake with a side order of ice cream. 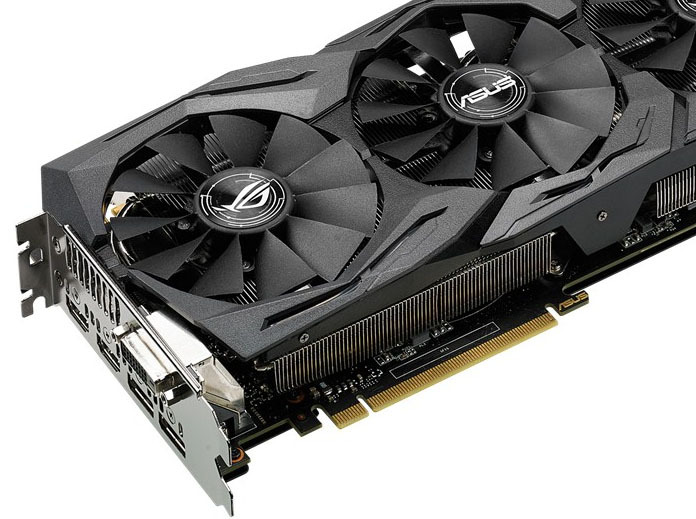 The Strix GTX 1060 sports dual FanConnect headers that let you govern system fans with the same intelligence in charge of cooling the graphics card. System fans are usually limited to changing their rotational speed based on the temperature of the CPU or motherboard sensors, but that’s not ideal for games, which heat up the graphics card much more than other components. FanConnect optimizes cooling for gaming by using the GPU temperature to dictate system fan speeds. The FanConnect headers detect the presence of three- and four-pin fans automatically and adjust their behavior accordingly, making setup a breeze. They’re managed by a dedicated response profile that you can tweak separately from the fans on the card. FanConnect isn’t just for gaming, either; adding auxiliary cooling can lower temperatures when overclocking, allowing you to reach for higher speeds. The cherry on top of this delectable dessert is Aura RGB lighting, which illuminates the Strix’s shroud with millions of colors and six effects. Personalizing the lighting to suit your system’s style is simple, whether you’re subtly matching colors with other components or creating a dazzling display to stand out at the next LAN party. Our Aura software puts a rainbow of colors and full slate of effects at your fingertips. In addition to glowing, breathing, strobing, and color cycling effects, it serves up a reactive mode that pulses to the beat of the audio output. There’s even a functional twist, with an effect that changes color to reflect the GPU temperature. A future software update will bring other Aura-compatible hardware into the fold, enabling synchronized colors and effects across multiple components for fully cohesive system lighting. With VR-ready horsepower under the hood, it’s only fitting that the rest of the Strix GTX 1060 is built with virtual reality in mind. The card has dual HDMI 2.0 ports, so you can connect a VR headset and monitor simultaneously, without swapping cables. It also doubles up on DisplayPort 1.4 ports that are perfect for next-gen displays. Like its recent Strix siblings, the GTX 1060 comes with a one-year XSplit Gamecaster premium license worth $99 online. Right out of the box, it’s ready to broadcast your epic skills—or newbie fails—to the rest of the world. XSplit and GPU Tweak controls are both accessible through a convenient overlay that also lets you keep an eye on graphics frequencies, temperatures, and VRM usage. 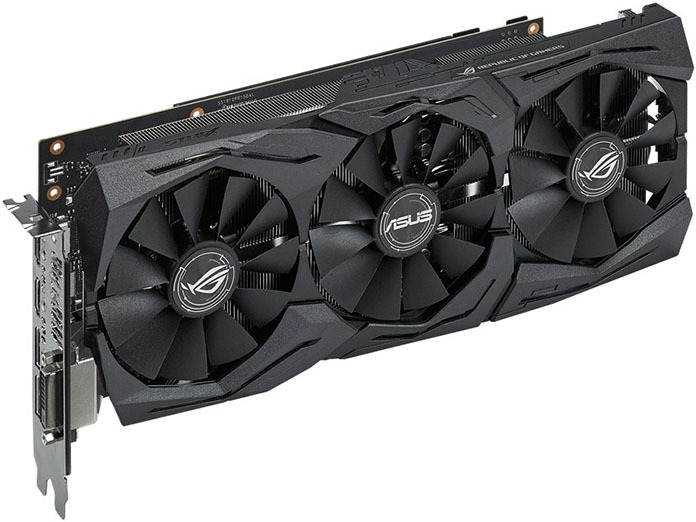 The hot-clocked ROG Strix GTX 1060 is slated to sell for $319.99, while a slower version running at stock frequencies will be available for $309.99. But that’s not all we have in store for the GTX 1060; Dual and Turbo variants are also on the way. 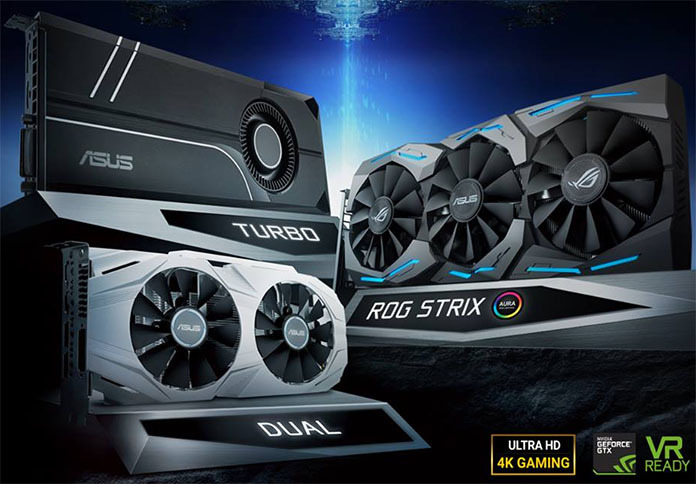 The Dual trades the Strix cooler for twin-fan unit with a white shroud that matches our Signature motherboards, while the Turbo swaps traditional fans for a reference-style blower that exhausts warm air out the back of the chassis. Both coolers maintain a lower profile than the Strix’s DirectCU III design, making them easier to squeeze into tight spaces and small-form-factor cases. 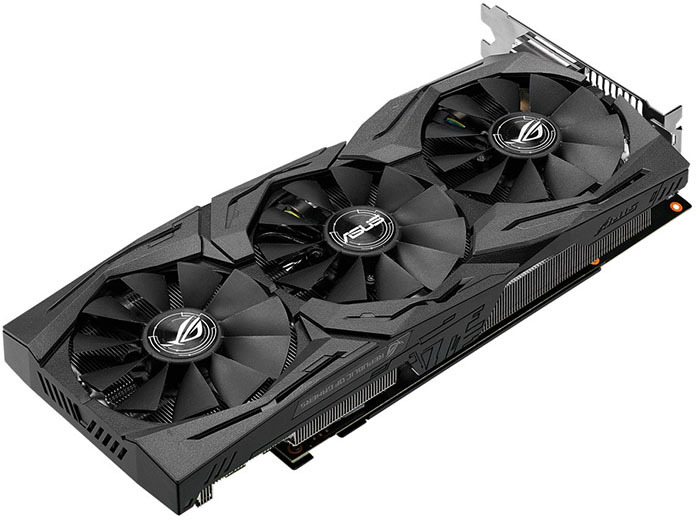 The Turbo GeForce GTX 1060 comes with stock clocks, while the Dual will be offered in stock and overclocked form. The latter has an 1809MHz Boost clock in OC mode, putting it a step behind the top-of-the-line Strix. You’re free to overclock it manually, of course.